National Carers Day, coming up on April 6, recognizes the importance of caregivers and the support they provide across Canada. Dr. Christopher Frank, of Kingston, Ontario, particularly appreciates the caregiver’s role—after all, he focuses on areas where caregivers provide crucial help, such as geriatric rehabilitation, acute care consultation and palliative care. 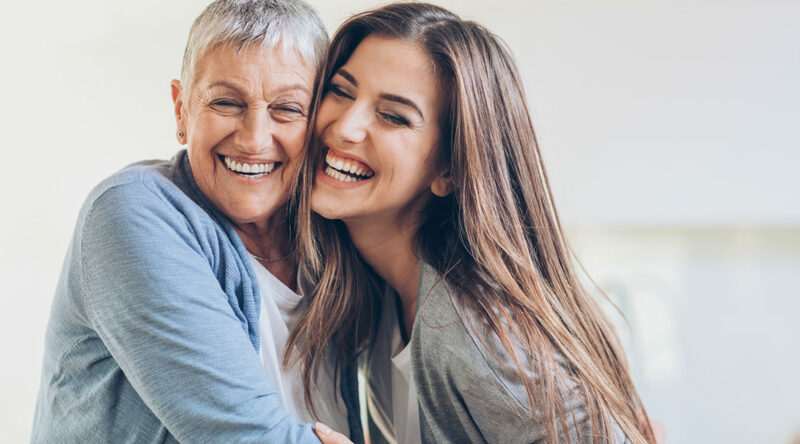 In this guest blog, Dr. Frank shares five pieces of inspirational advice from one of his patient’s relatives, a caregiver herself. Unless you work in pediatrics, almost every physician sees people who have dementia. Almost all of us also have family members with dementia. Regardless what side of the gurney we are standing on, caregiving is extremely challenging. Family physicians have a huge role in supporting people with dementia, as well as their caregivers. Most of us have met some remarkable caregivers. One of my Alzheimer’s patients has a daughter who is an inspirational caregiver. Given her overall approach and enthusiasm she has for the difficult role she has, I asked her to give a talk on dementia care (like a TED Talk). She spent a lot of time preparing for it and analyzed her own approach and philosophy to develop a framework. I thought it would be helpful to share that framework as a tool for your patients and families, but it may also be helpful in your own personal caregiving roles. When I think at this framework, I think of the warm and memorable smile this particular patient always gave me. Just as our parents accept us at every stage of our life as we grow up (baby, toddler, teen, etc. ), accept the person with dementia at every stage of their illness. It is better to enjoy and love them as they are now, instead of getting stuck on how they used to be. Whenever possible, caregivers should look for and try to create precious moments. The caregiver who created the framework tries to create or enjoy “a nice moment” three times a day and views any additional moments as a bonus. This can give her a sense of success during trying times. Although friends may fall away and family may not always understand, it is important to never isolate oneself. Caregivers should try to turn to neighbors, support groups, information sessions, community services and others whenever needed. The caregiver is not just the caregiver but is also a care coordinator, connecting and inviting others to participate in the patient’s care. It does take a village, especially with dementia care. A smile and a laugh can help with responsive behaviours and can be contagious. Finding things that makes the person with dementia laugh can help with difficult situations and is good for all participants! What works one day may not work the next; the caregiver will need to experiment. Experiment should not feel like failure, if something doesn’t work it can stimulate creativity and collaboration, especially as the person’s illness progresses. The caregiver who developed SMILE tries to keep in mind that the person with dementia needs assurance, with a sense of safety, order, and routine. They need variety, with meaningful experiences that sometimes may challenge everyone’s comfort. They need to have a sense of belonging and self-worth. Regardless of the stage of dementia the person needs to be valued and allowed to attempt to contribute and to be heard. As Atul Gawande wrote in Being Mortal, patients with frailty (particularly those with dementia) are at risk of boredom, loneliness, and powerlessness. Dementia may also throw fear, grief and stigma or shame into this unpleasant mix. Even the best caregiver and physician will have a bad day in dealing with challenging situations. I find this framework can help me try to help others and reminds me of the importance of nonpharmacological strategies. Dr. Christopher Frank is an associate professor in the Department of Medicine at Queen’s University. He focuses his clinical time at St. Mary’s of the Lake Hospital in Kingston, Ontario. This article originally appeared in Canadian Family Physician on March 6, 2018. It is shared here with the permission of Dr. Frank.